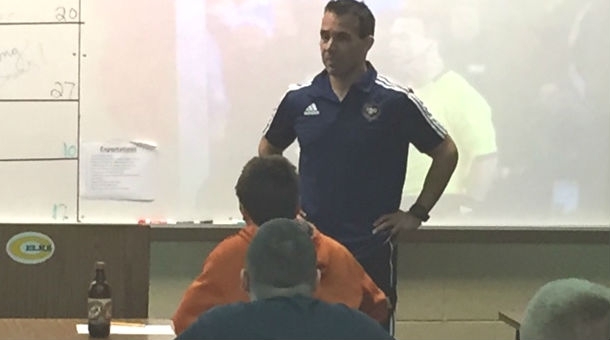 PRO’s Hilario Grajeda has recently taken time out of his busy schedule to visit Centerville High School in Ohio. 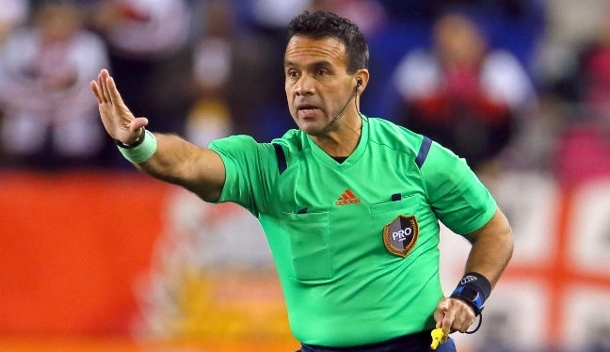 The referee has been assigned to three games over the opening four weekends of MLS, with his latest coming in week 4, at Rio Tinto Stadium for Real Salt Lake’s game against Toronto FC. But Grajeda enjoys having the opportunity to give back to the community, by visiting schools to discuss many topics including his route to becoming a center official in MLS. “I have visited many schools,” Chico, as he is affectionately known, told proreferees.com. “The latest was Centerville High School in Ohio. I also have visited elementary students at The Academy at Minds in Motion in Springboro, Ohio, and high schools in Colorado and Texas. “I am often asked by educators to discuss the power of networking, positive influences and passion. Within that, I discuss my career path and some things I have learnt along the way. “I hope the students take away a positive message; to follow their dreams, avoid complacency and surround themselves with people that make them better; that challenge them.